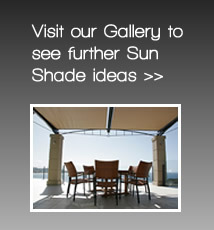 With the patented Ziptrak® system, you can enjoy your outdoor area all year round! 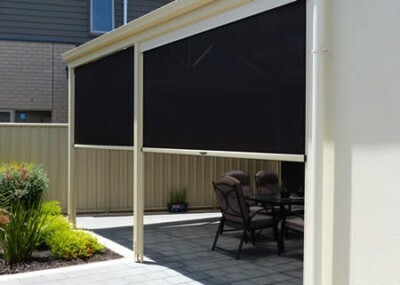 The combination of a high tech solar fabric with the Ziptrak® system is the perfect solution to keeping your outdoor area shaded in summer, and to locking in the warmth in winter. Moving the blind up and down is simple, and the centre lock release allows you to lock the blinds down when the weather is a bit wild, and to pull them back up in a single action when required. Ziptrak® stops and stays in any position without locks using a special spring balance system. For extra ease of use, Ziptrak® is also available with remote operated electric motor, making a simple process even easier! 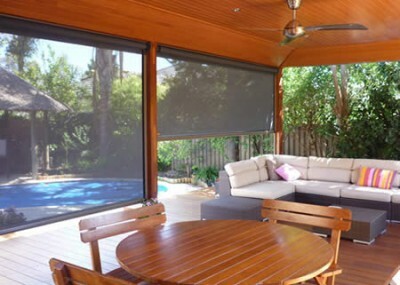 Ziptrak awnings keep areas warm in winter and cool in summer. Specially designed track on both sides of the awnings enable the fabric to glide smoothly and easily, stopping anywhere you want!